The Yoga Book is definitely one of the most interesting and divisive laptop designs to come out in a while - users either love or hate its touchscreen/keyboard deck hook. To a digital artist its integrated "Create Pad" is a godsend, but a mechanical keyboard fan probably sees its integrated haptic key layout as sacrilege. 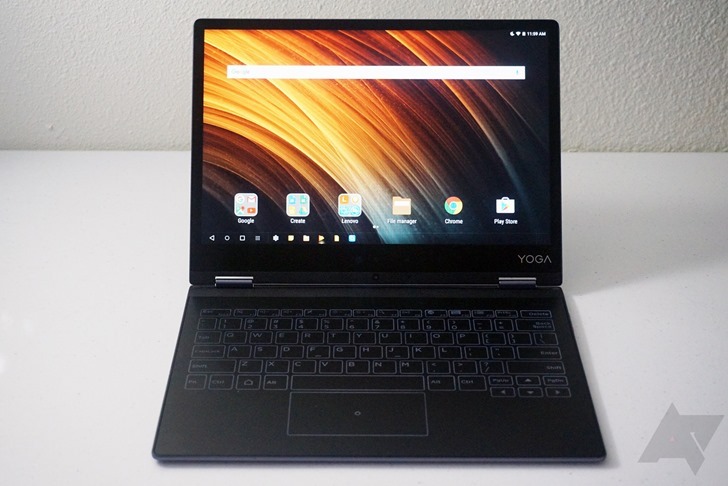 Either way, you'll soon have more options if you want to check out that unique hardware: a Lenovo executive told a Tom's guide reporter that the Yoga Book would be sold in a Chrome OS model in 2017. 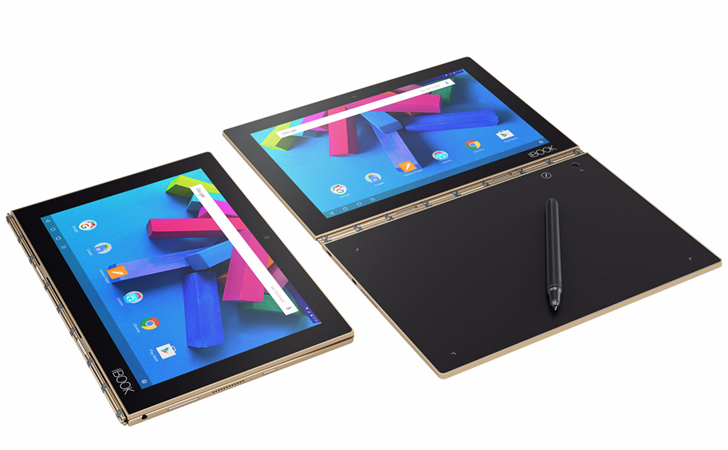 The Lenovo Yoga Book is... odd. When it was announced in September, it was very different from any laptop or convertible I had seen before. Instead of the standard keyboard and touchpad combination, the bottom panel is a giant Wacom digitizer for sketching and taking notes. When you need to be productive, the bottom panel can switch to the 'Holo keyboard,' a touch keyboard and trackpad in the typical laptop layout. Now that reviews are out, what is the general consensus? Everyone who has tried it remarks about how amazing the device looks in person. LaptopMag called it, "one of the most beautiful pieces of technology I've ever laid my eyes upon," in their review. 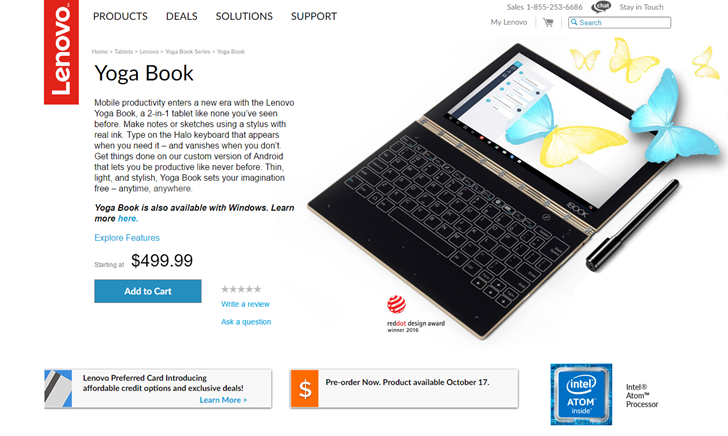 Lenovo turned a lot of heads when it announced its latest Yoga design, the Yoga Book. 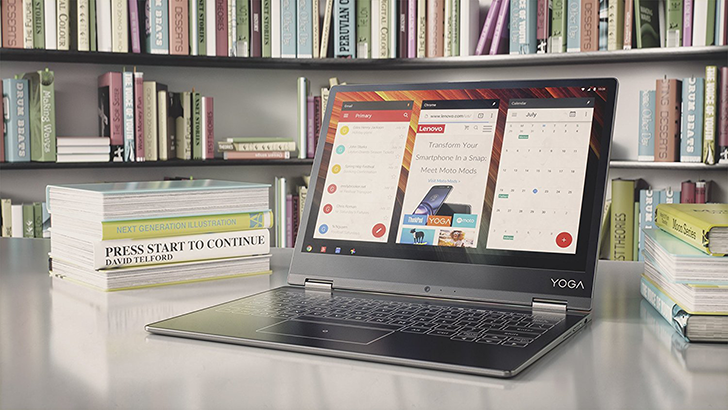 It's essentially a convertible laptop with a fold-back screen, complete with the Yoga line's well-regarded watch band hinge. But the Yoga Book has an ace up its sleeve: instead of a conventional keyboard, it uses a gigantic touch-sensitive panel that includes a dedicated keyboard mode, with virtual backlit "keys" that can be activated at a touch. Windows and Android versions are being made, and the latter is now up for pre-order. 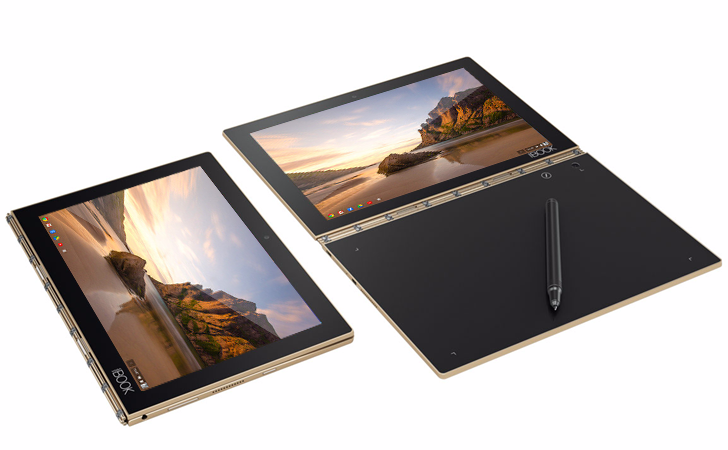 Lenovo's Yoga Book is what the company is calling, "the first tablet for natural sketching and note-taking," and "the world's thinnest and lightest 2-in-1." What makes this tablet so special? Lenovo's "halo keyboard." Much to the chagrin of typists everywhere, this is a purely touch keyboard, which makes the "thinnest and lightest 2-in-1" claim true. But Lenovo claims over 18 months of development work has gone into testing and improving the halo keyboard, including features such as haptic feedback and accidental keypress detection.